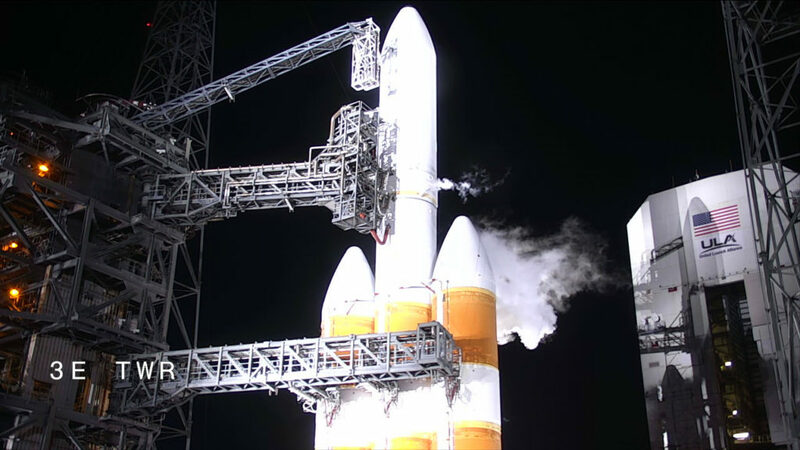 The Parker Solar Probe countdown is underway toward a liftoff at 4:28 a.m. EDT. During the last four minutes of the countdown, the Delta IV Heavy propellant tanks will be brought up to flight pressure, the rocket and spacecraft will be confirmed on internal power, and the Eastern Range and launch managers will perform final status checks. A computerized autosequencer will take over the countdown in order to conduct a host of activities in precise order.